As much as I loved last week's beautiful sunshiney weather, I'd be lying if I said I wasn't a total sucker for the dreary skies and incessant rain that have greeted us each day this week. Stormy weather isn't the most conducive to stylish outfits, nor does it provide ideal photography conditions, but I've truly enjoyed staring out the window listening to my favorite tunes and curling up on the couch with a blanket and movie. What kind of weather do you prefer? Love the mix of patterns! Who knew tribal and polka dots go so well together? I love stormy, dreary weather as well! And, that sweater with the polka dots is divine! I love the combo. 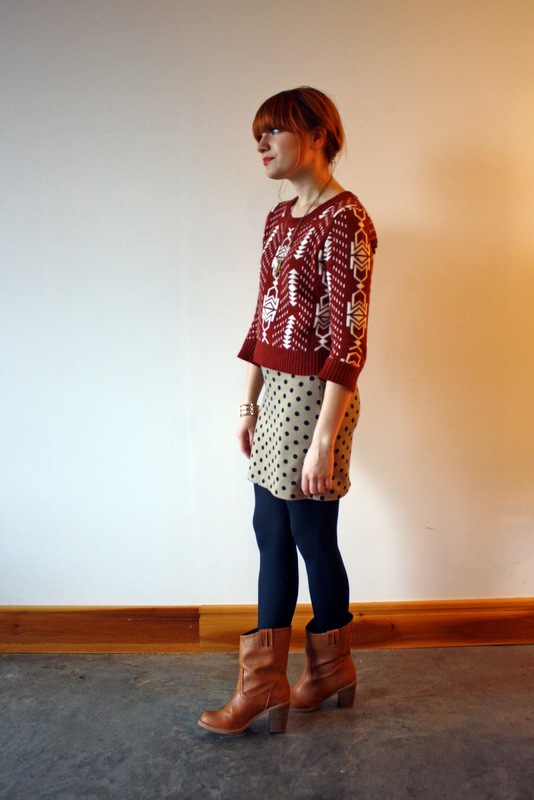 Cute pattern mixing...love that sweater, the rusty red colour is lovely. Great boots! 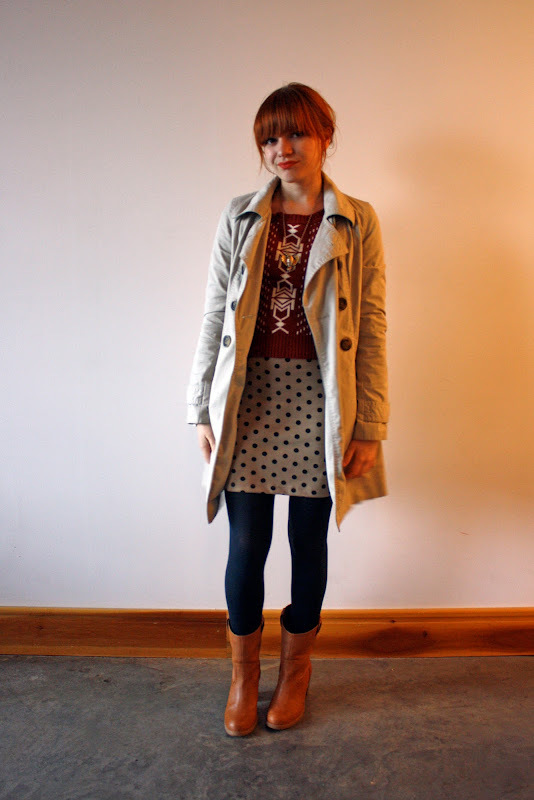 I love this whole outfit a lot and the pattern mixing is expert! Those boots are really awesome. I'm quite enjoying this mix of prints too! I love this mix! And your hair is getting so long! Love it. I love the combo of these prints. They pair so nicely together.